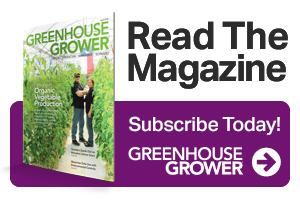 Vic and Gail Vanik, owners of Four Seasons Greenhouse and Nursery are long-time ornamental grower-retailers. But over the last few years they have moved into greenhouse vegetables as a great winter crop for their Dolores, Colo. location. One of the most important things you should do if you’re planning to grow and market produce, Gail says, is create a written food safety plan. “Do that right up front. We compiled ours in December 2010 and it’s been one of the most useful tools we have had. Our plan is 11 pages long and it’s completely comprehensive. It covers every detail of every step from the very beginning of the growing process to packing and transportation to the customer,” she says. That may sound like a daunting document to develop, but fortunately for the Vaniks, Four Seasons didn’t have to start from scratch. “We originally got a lot of the information from someone we were contract growing for and adapted it to our operation,” Gail says. The bulk of the Four Seasons plan is based on existing information from the FDA. “Ours is based on FDA’s Good Agricultural Practices Guidelines. Specifically, we worked with three documents: the 1998 Guidance for Industry: Guide to Minimize Microbial Food Safety Hazards for Fresh Fruits and Vegetables, the 2008 Guidance for Industry: Guide to Minimize Microbial Food Safety Hazards of Fresh-cut Fruits and Vegetables and the 2009 Guidance for Industry: Guide to Minimize Microbial Food Safety Hazards of Leafy Greens,” she says. • Record keeping and documentation for traceback and product recall in case of a food safety issue. Taking the extra steps to do things the right way has paid off for the Vaniks. They started out with a single 30-by-100-square-foot greenhouse space growing sunflower greens. Just a short time later, the business has expanded into other crops including high-quality lettuce, tomatoes, microgreens and spinach in 15,000 square feet of greenhouse space.